Something to look forward to: The August View video doorbell addresses one of the biggest shortcomings with the current batch of cameras on the market - limited resolution. It also looks great, is wireless and comes with its own chime - all for less than $230. Home automation company August on Tuesday announced a new doorbell camera boasting multiple compelling features. The August View is a wireless solution which means it’ll appeal to both homeowners and renters. As you may know, tenants are often bound by restrictive rental agreements that limit changes that can be made to the property. Since the August View is wireless, installation won’t permanently modify the front door space. It ships with a 6,500mAh rechargeable lithium-ion battery. The View’s other standout feature is its image quality. 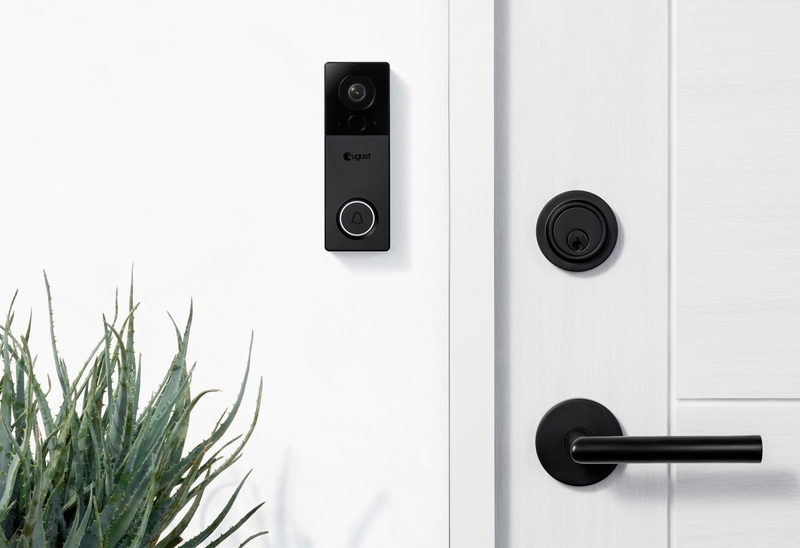 According to August, the doorbell utilizes a “best-in-class image sensor” that provides 1440p resolution video streamable directly to your smartphone. 1080p may sound adequate on paper but in practice, you’ll find yourself wanting more resolution. 1440p provides 33 percent more pixels than 1080p and is a logical stop-gap between 1080p and eventual 4K-enabled video doorbells. Other noteworthy features include instant motion alerts, zoomable video, multiple cloud storage subscription plans to choose from and minimal fisheye distortion. You also have eight different faceplates to choose from – four metal faceplates (satin nickel, oil-rubbed bronze, satin brass and midnight gray) and four colored faceplates (black, red, blue and white). The August View wireless video doorbell launches on March 28 priced at $229.99.